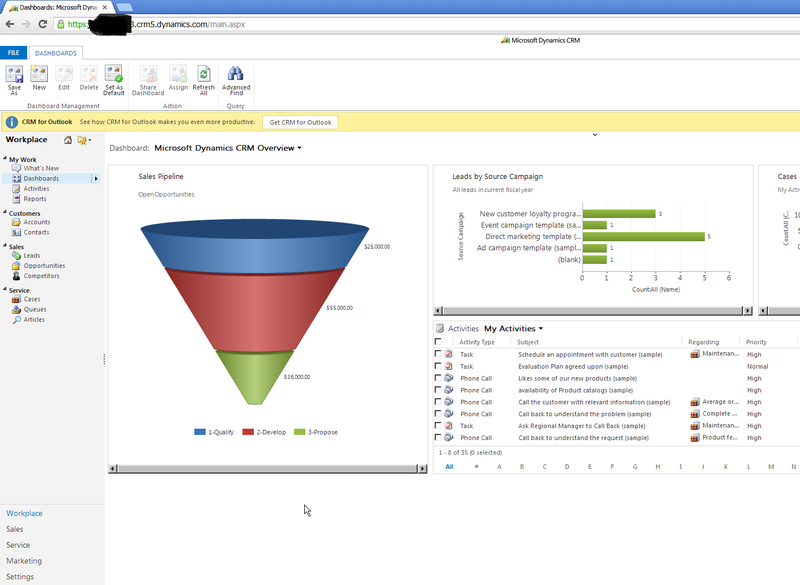 You have an existing CRM online instance, your organisation has been updated with the latest Polaris release, but where is the new flat UI? 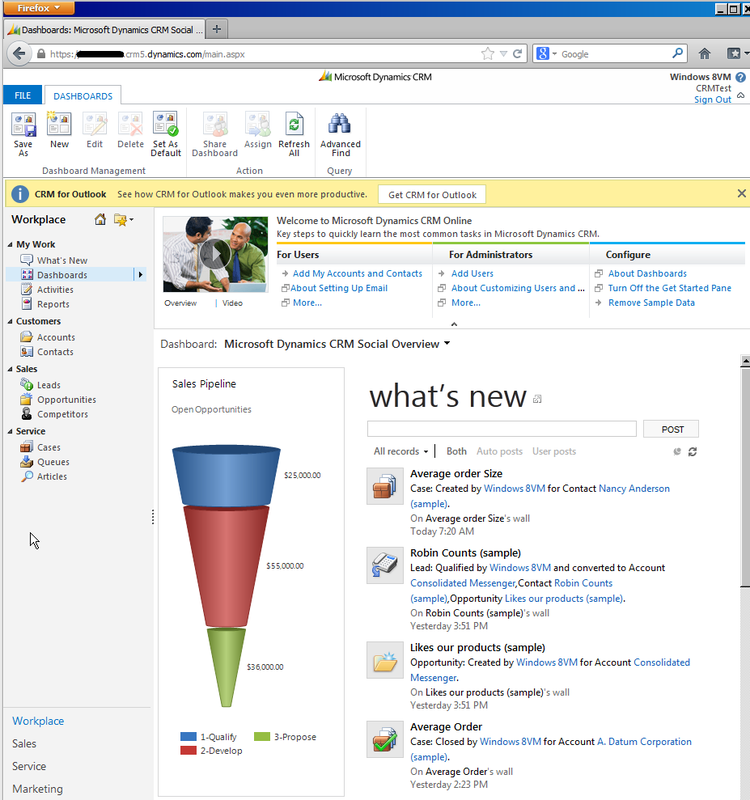 Polaris updates were rolled out to the CRM online hubs during January. This included the normal bug fixes, activity feed updates and cross browser support, but where is the new flat UI or other features that were mentioned? To enable the Polaris functionality, you have to actually accept the changes and apply them to your organisation. 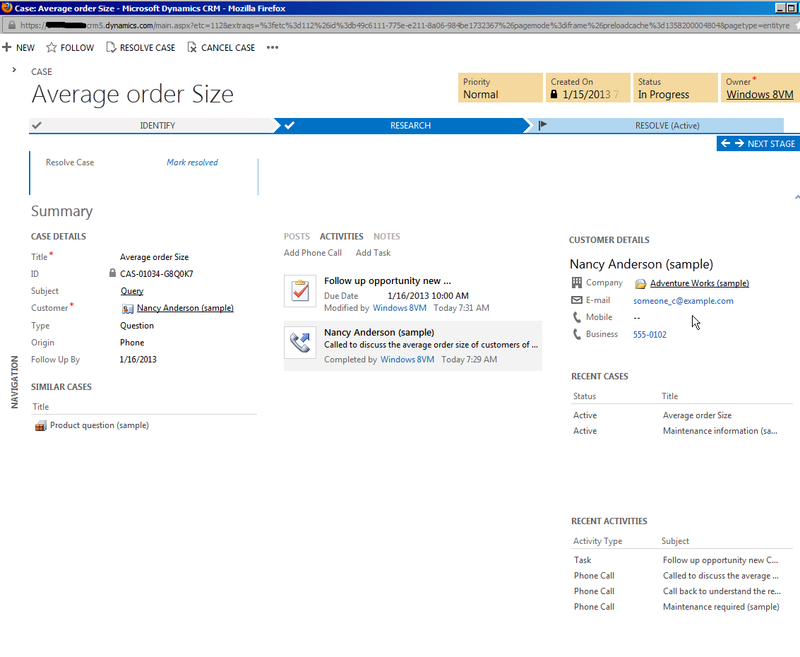 After the initial update you will find a new menu option in the settings administration area called Product Updates. 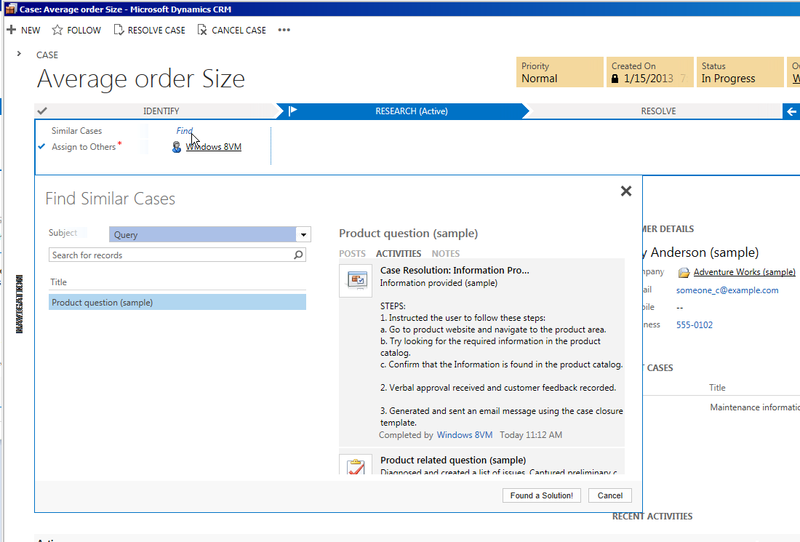 Product Updates will enable the new releases of functionality to be applied automatically to your solution. So to apply the Polaris release you will need to follow the following steps, please note CRM will be out of action for approximately 10 minutes during the updates and once updated you can not uninstall. 3. Click Yes to accept the changes and to install, note you will not be able to roll back once you have accepted so please test in a non-production environment first. 4. The install will commence and during this period your CRM will be unavailable. 5. On completion you will now notice that the generic font has been updated, to complete the process you will have now apply your customisations to the new UI forms. 6. 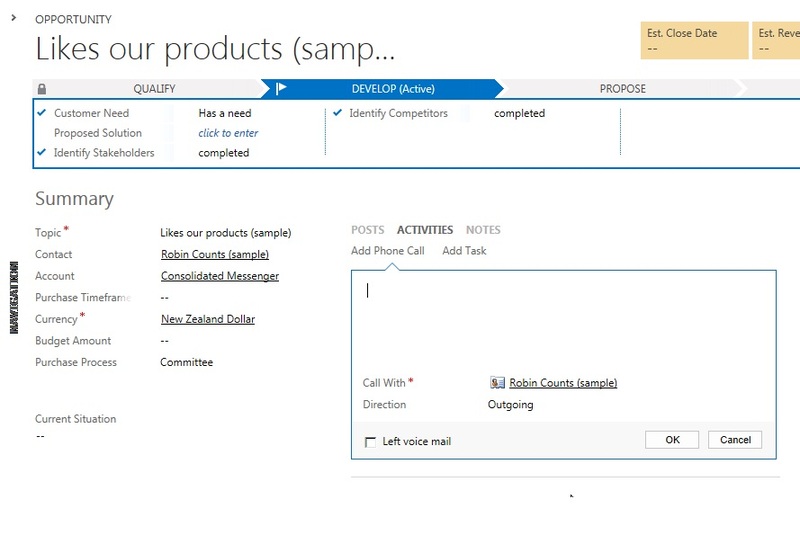 To do these navigate back to Settings Administration and click the Product Update button. 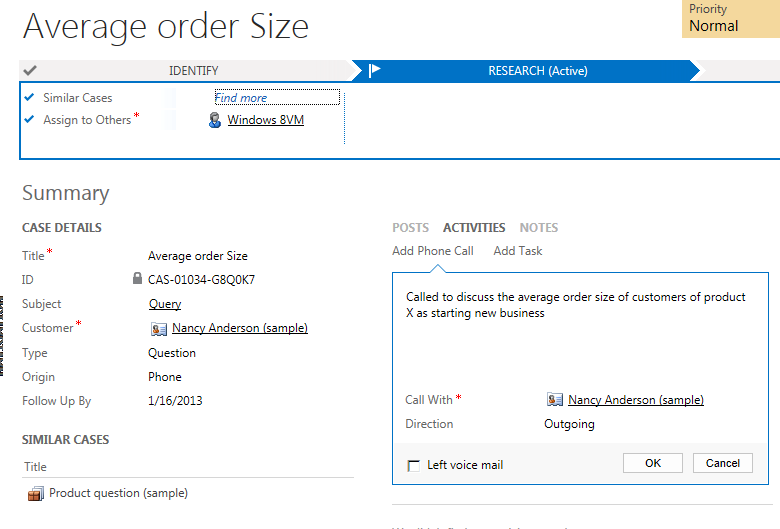 Two new options are available, migrate to new forms and enable new forms. 7. 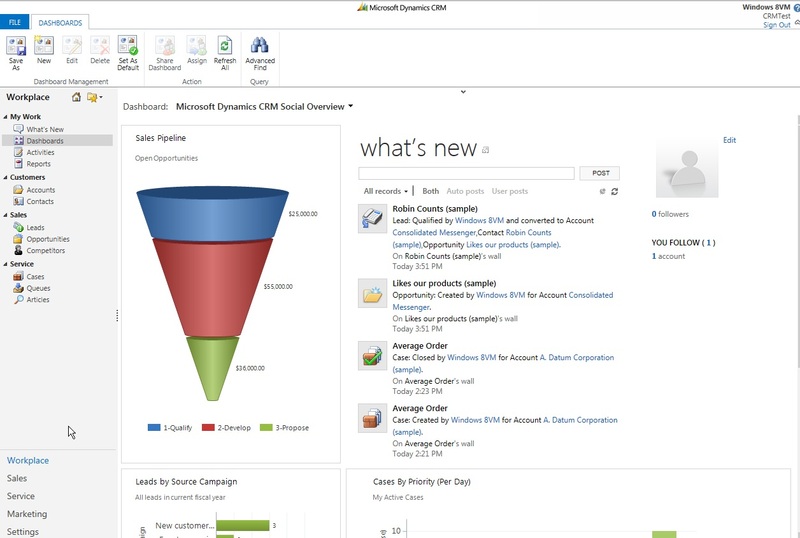 So what this enables is the ability for your system admin or partner to help migrate over the customisations to the new forms and test them prior to enabling them for all users. So the first step is to migrate customisations, what this means is that you will need to open your solution and update the new Account, Contact, Lead, Opportunity and Case forms to include the fields that you would like to appear. 8. 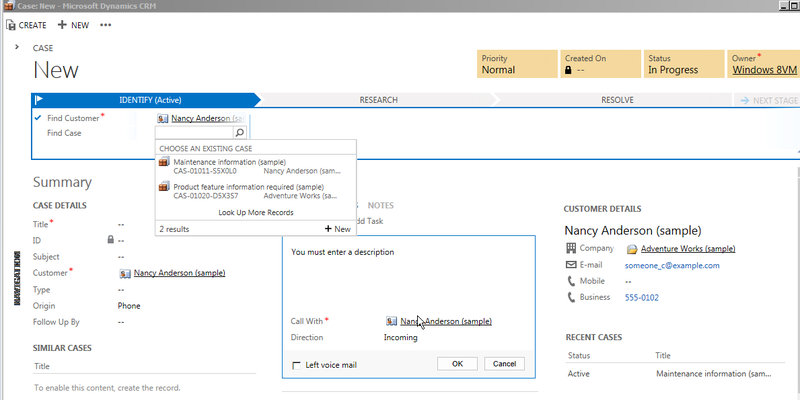 Once you have migrated the changes you can test the new form layouts by publishing your changes and manually switching to the new forms via open up a record and clicking on the form selector and selecting the new form i.e. Contact. 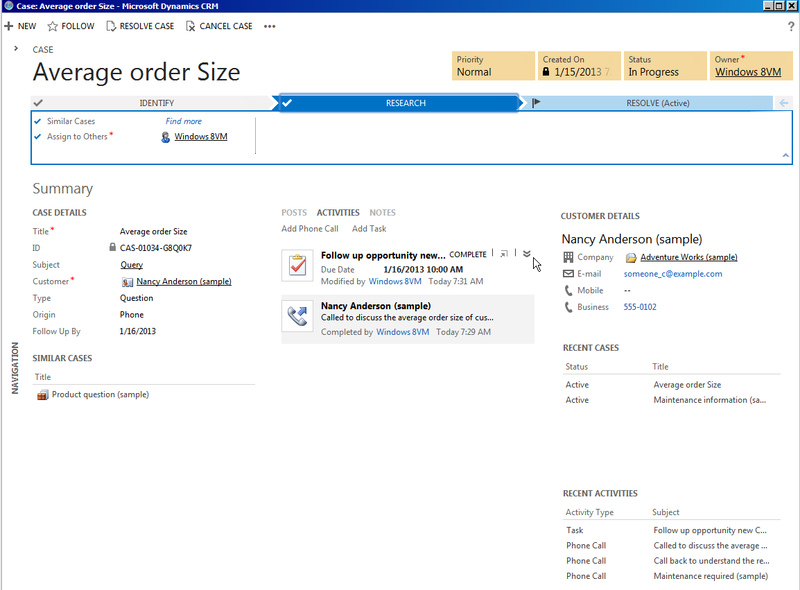 You will then need to save and close and re open the Contact to see the new UI form and your changes. 9. 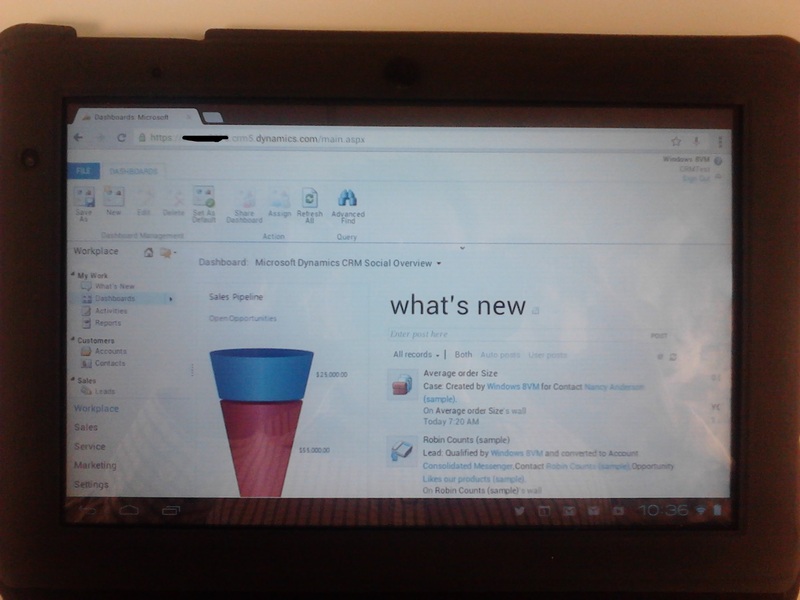 So once you are happy with the changes you can now apply the new forms to all users. This will mean the new forms will open by default for all users. They can still switch back to classic mode via the form options once the new form has opened. 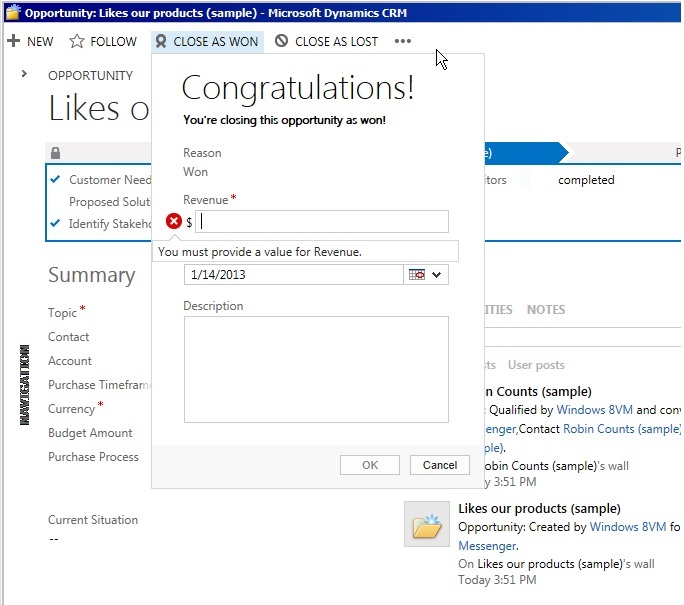 So to enable the new forms click back on to product updates and select Enable new forms and click Yes to continue. 10. You have now completed the process and all users will have access to the new flat UI forms by default. 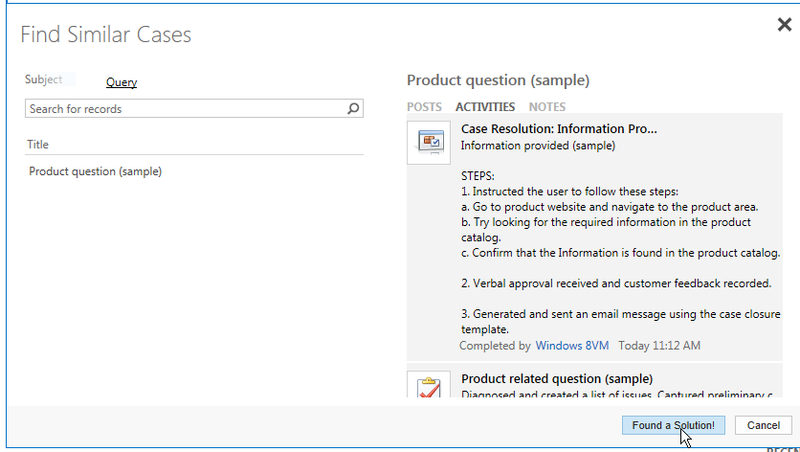 How do I enable for some users by default the classic UI forms rather than the new Process UI forms? 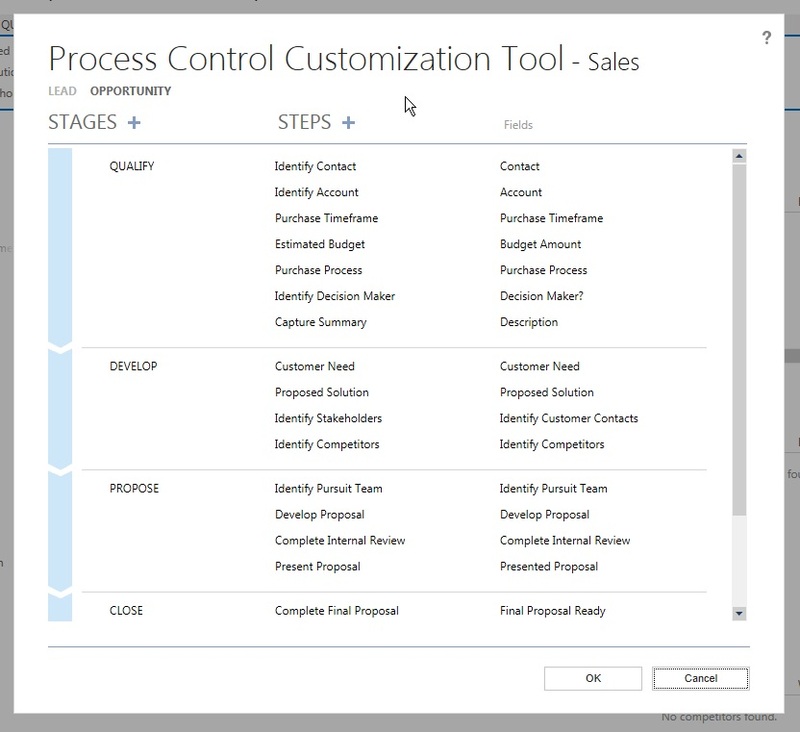 I have had a number of queries around the fact that for some organisations the new process UI forms may not work for all users who require a little more functionality that what is offered or that their current implementation is highly configured, hiding and showing sections and fields based on other variables. Actually it is very easy! It comes down to form security and which security roles can access which forms. 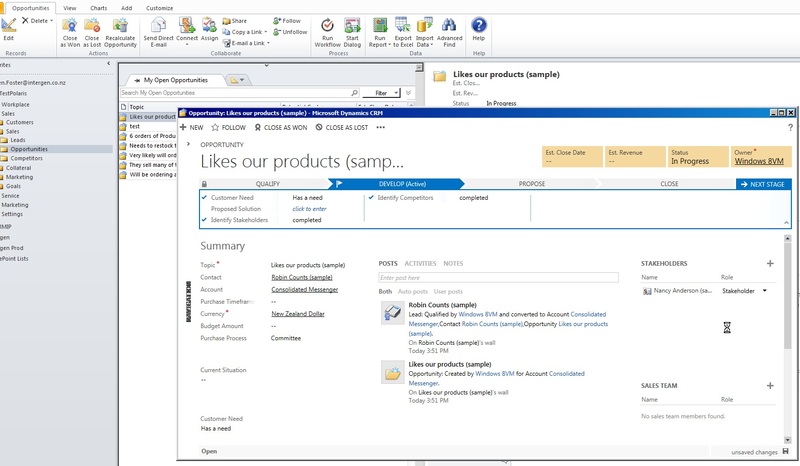 So solve the problem you will need to either restrict the new Process UI form to security roles that will access it or create a new dummy security role that you assign to users where you want them by default to have the new form loaded and do not assign this security role to users that you want to default back to the classic form. So what is involved? 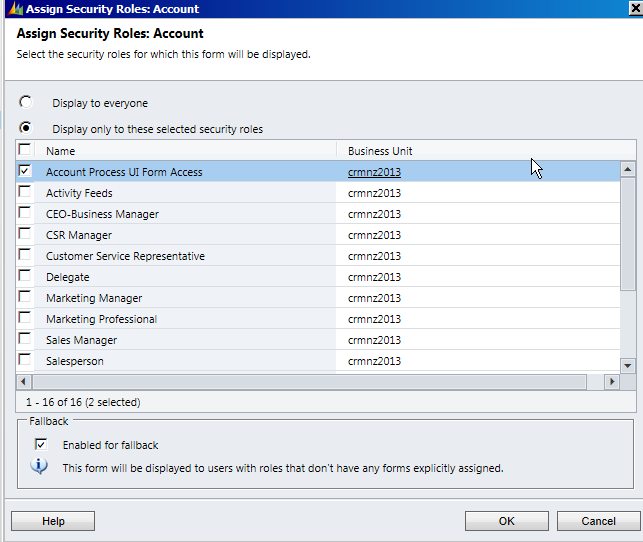 I will take the approach of creating a dummy security role to enable or disable the form. 5) Select the new security role and remove all others except system administrator. This will now mean that only users that have this specific security role will be able to access the form, and all other users will revert to the classic form assigned to their security roles. 8) When a user with this security role logs in and opens an account they will be presented with the New Process UI form and all other users without this role will see the historical classic form. So again this is an organisation that at Intergen we created as a trial through the standard process of requesting a 30 day trial except it was published as Polaris which was strange as it was requested on the 10th Jan, 6 days prior to what we have been led to believe was the rollout to APAC! 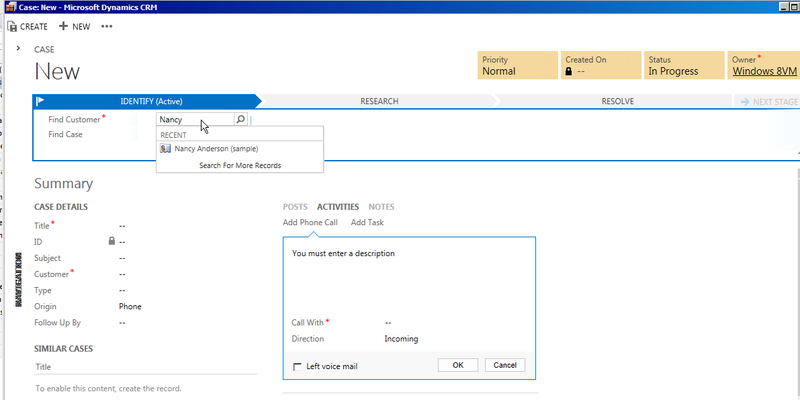 Since this trial all other requested trials has been pre polaris releases, so do not know what happened but hey its great to get a glance at the production view of this functionality post the Microsoft TAP program that I was on. 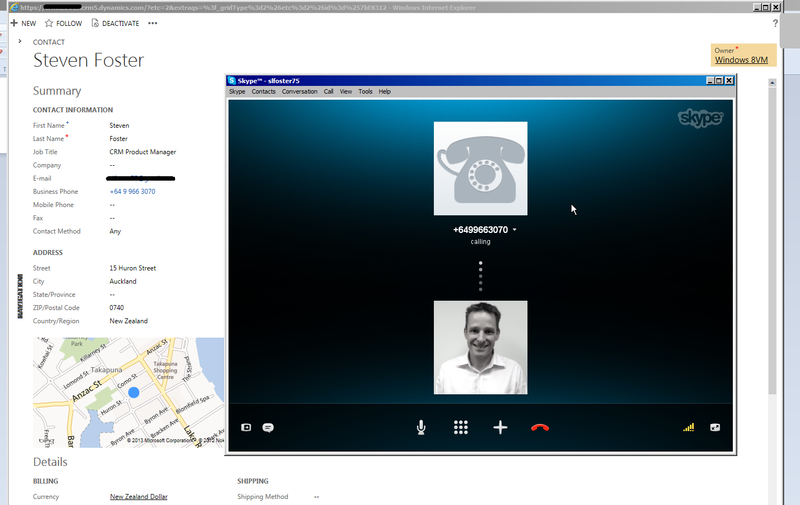 So how does the skype call work? 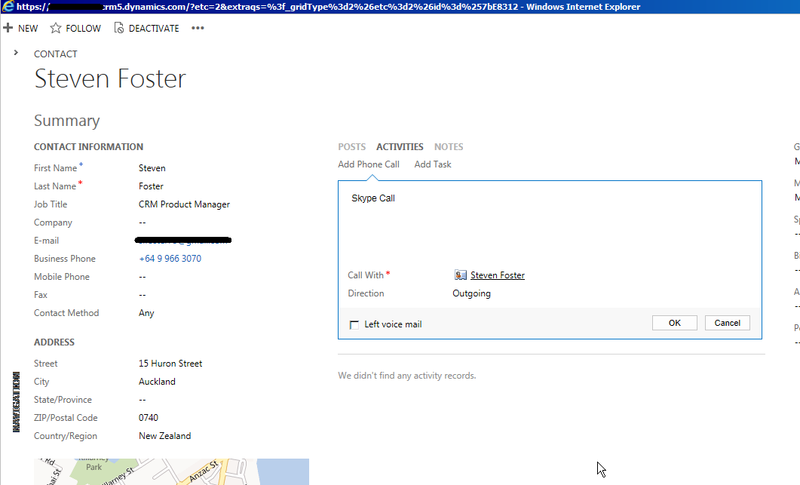 Simply click on the phone number and Skype if running will dial the number. 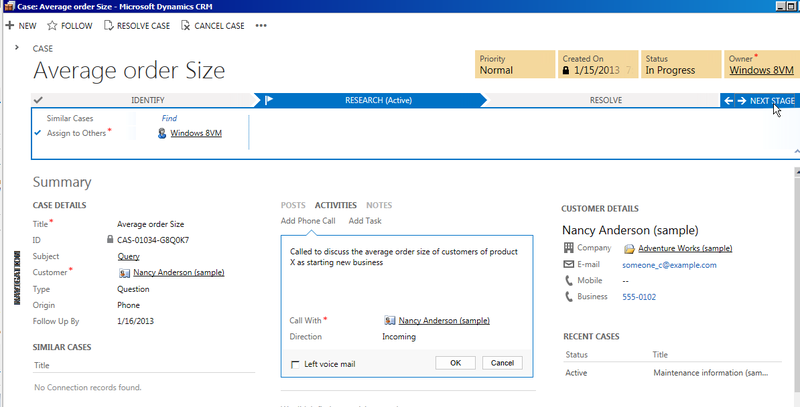 When you complete the call and return to the CRM contact window or during the call, a new phone call activity will have already been created to enable you to capture the discussion that you have had! Simple and intuitive, the way forward! 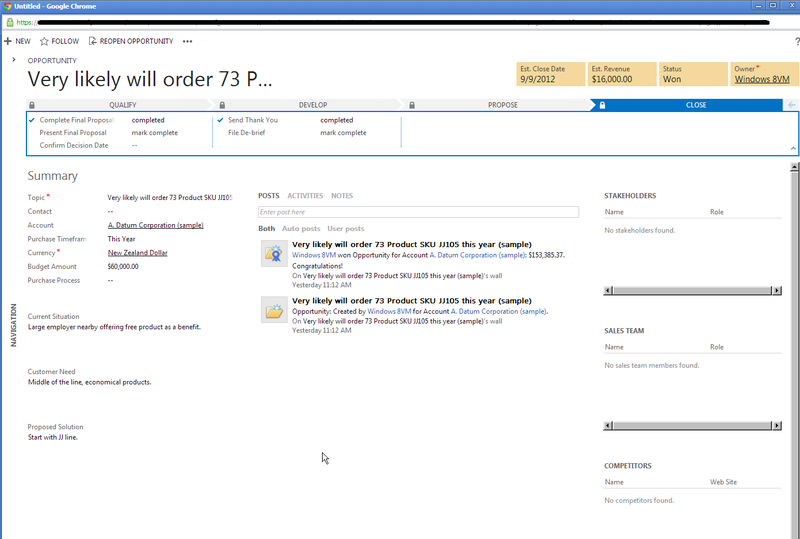 In the third series of first glances, here are some screenshots of CRM via Chrome and Safari on a Windows PC. On my ACER A500 tablet via Chrome using /main.aspx URL as per safari comment, only opens records where new process UI forms are not enabled. 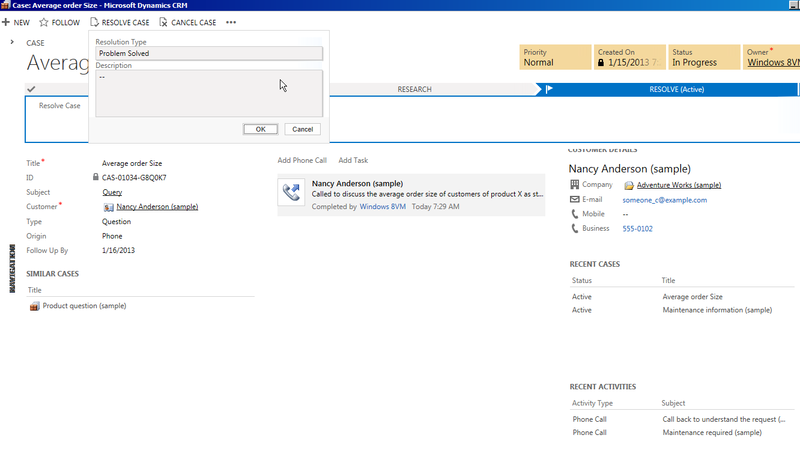 So after posting some first glance images of Polaris sales processes and new user flow user interface, I thought I would post some images of the new Case Management flows. 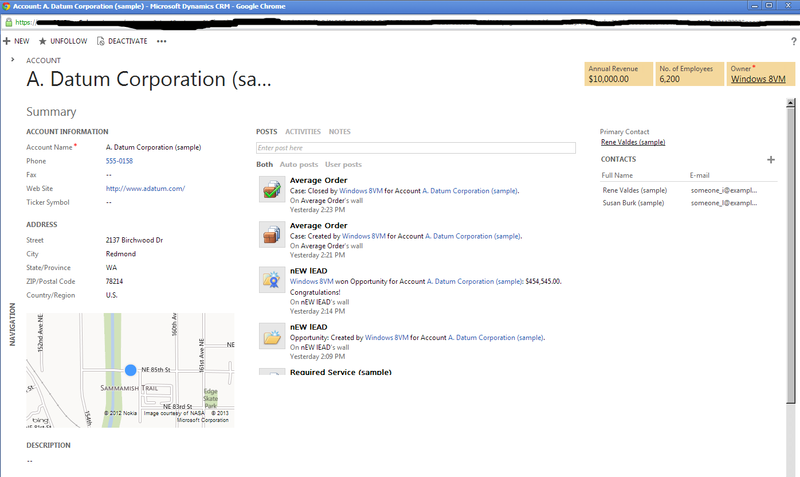 As promised here are some screen shots of the Service flow. 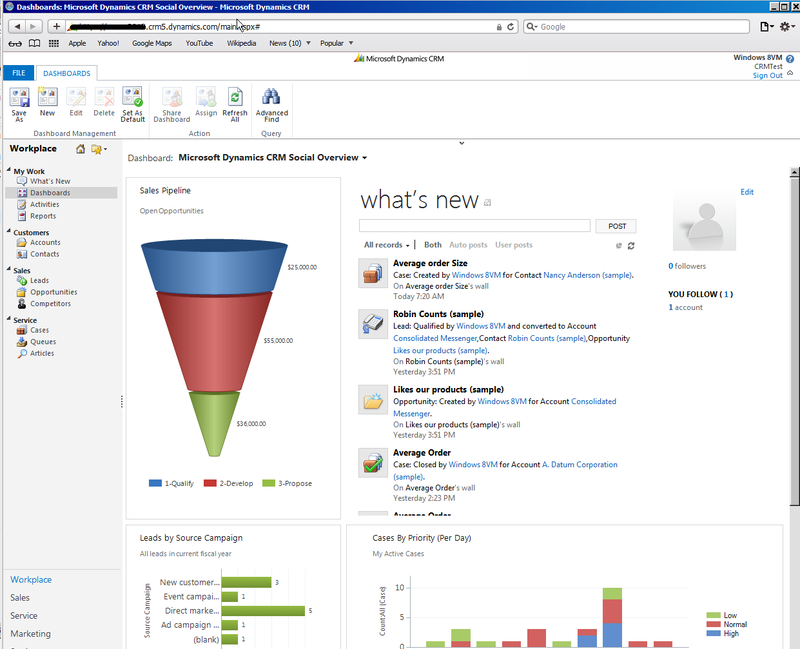 I hope this has given you a quick glance at what will be available as part of a rolled up Polaris CRM instance. All in all, a much improved user experience for managing incidents and enquiries, providing a much more intuitive user interface. 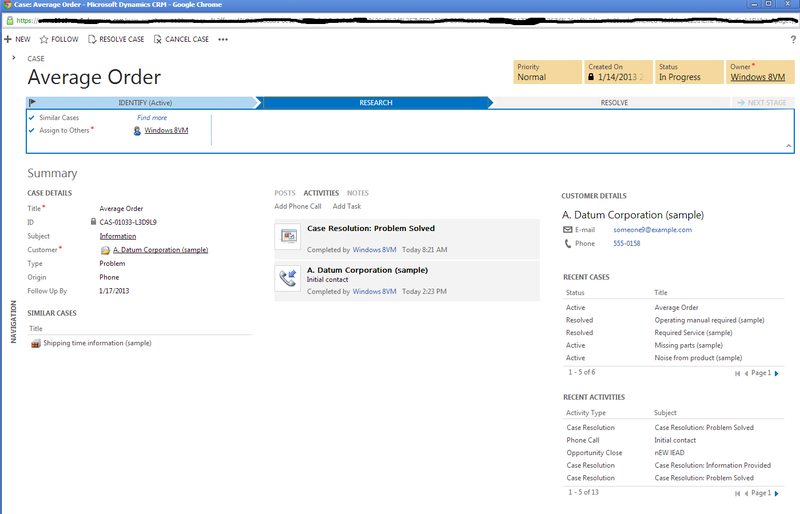 On Thursday 10th at Intergen we created a new Trial CRM org and was surprised to see that Polaris had been installed, our understanding was that it was to be released on the 16th at the earliest to APAC. Since then all new orgs have not had Polaris loaded, which is strange, we obviously got lucky! 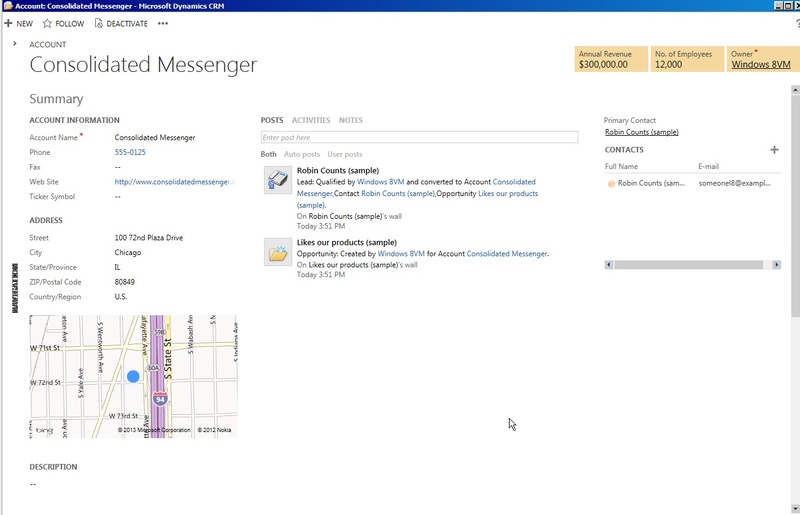 So here are a few screenshots of the new Flow UI and Outlook as a little teaser. 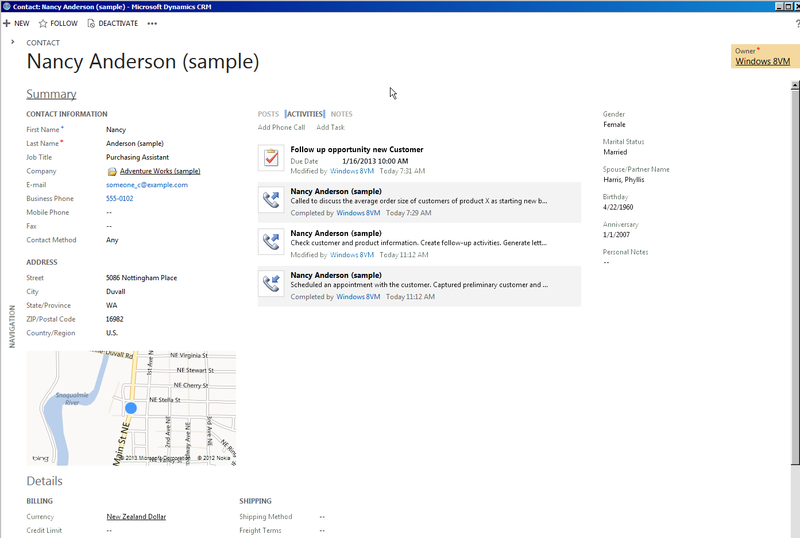 I will post again later on the new Service side screens.